Handicraft forms the second largest employment sector in India, after agriculture. There are twenty-three million craftspeople in India today. In farming communities, GREEN facilitates training in handicraft making with an aim to increase their livelihood opportunities during the lean months after the end of the 120-day agricultural season. Baskets, bags, mats, etc. 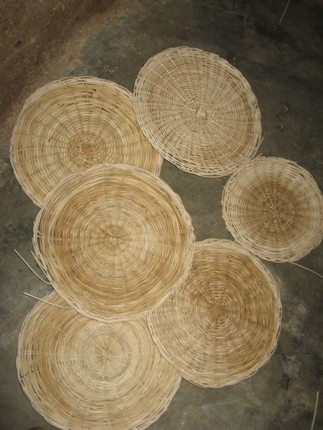 woven out of sun dried natural banana fibers have a large market both nationally and globally, and fetch a good supplementary income, especially in times of drought. Practised as an art for centuries, this traditional skill has been forgotten in recent times and it is GREEN’s aim to revive them within communities. Often exploited by middle men and unaware of the demand for their products, many artisans are in need of training before they can benefit financially from this art form. GREEN provides them with the entrepreneurial skills, resources, market linkage and machinery required to be autonomous producers of eco-friendly handicrafts. The project also provides compensation for the artisans both during the training as well as after it. Our goal is to empower nearly 100 artisans in handicraft making within the span of 1 year. Community seed banks provide a platform for members to join together and make value added products such as papads, chutney powder, pickle etc. 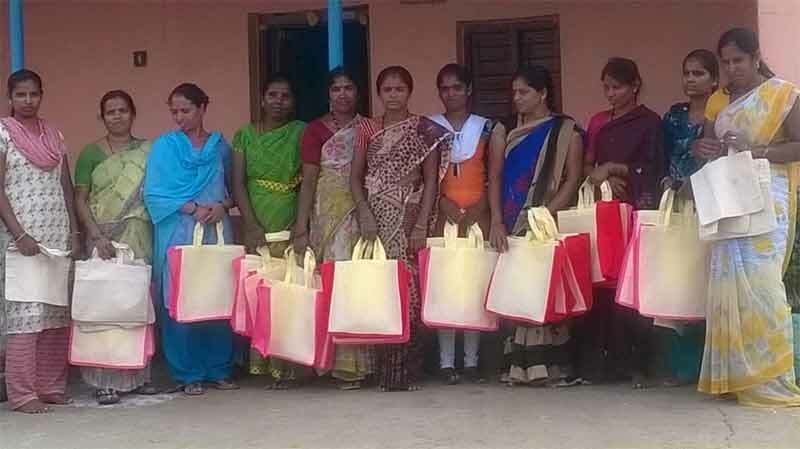 This especially empowers the women, as they are able to contribute to household expenses through the money they make from the sale of these products. GREEN facilitates these projects among community members through capacity building initiatives that teach them how to manage the schemes. Sri Maruthi Oil Producer Group : A cold pressed oil processing groups has been established in the village of Chikka Maralwadi. To find an appropriate rotary machine, we visited various vendors in Mysore, Salem, Pollachi and Coimbatore. 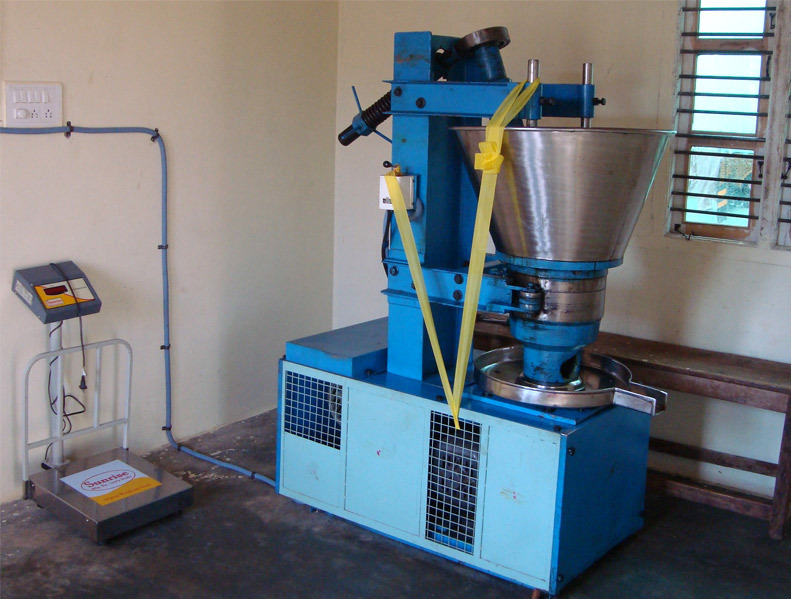 After evaluating the practicality and efficiency of various machines, we finally settled on a 1 HP rotary machine from Coimbatore. This machine can be easily operated by the women members who do not have much experience operating large machinery. Each of the 14 members contributed Rs. 1500 towards the establishment of the enterprise group. The total community contribution was Rs.21,000. 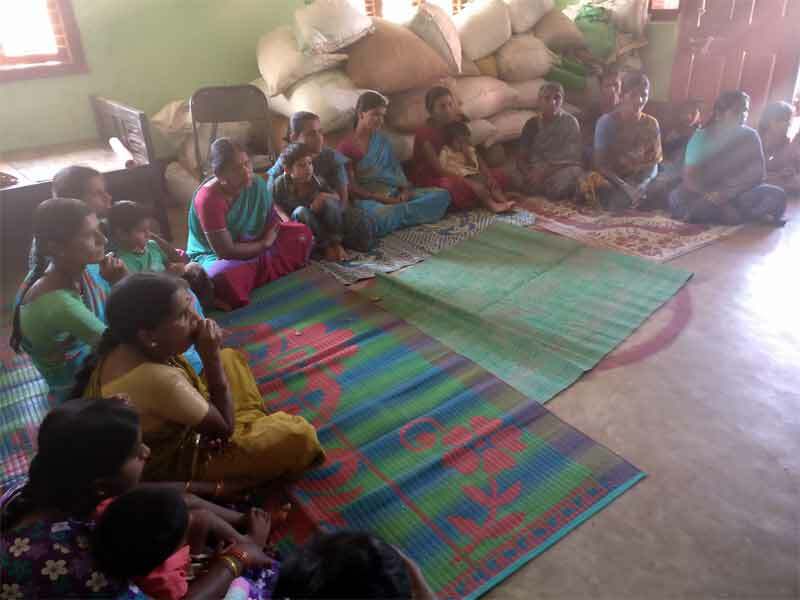 Additionally, they also obtained a loan of Rs.2,00,000 from Janadhanya Farmer Federation to set up the enterprise group. Sri Parvathi Papad making group : We have facilitated the formation of a papad making group called Sri Parvathi Happala Uthpadakara Sangha in Hunasanahalli. Eleven members from the community have joined this group and have made a total contribution of Rs.50,000. They have also managed to secure a building to set up this producer group. A solar dryer has been installed in this building for the drying of papads. Apart from this, papad pressing machines and grinders have been provided. Sri Durgashree Chandrike Adyothpana Sangha : We have formed a chandrike rent out group in Bommasandra village. A total of 17 women have become members of this group. Each member contributed around Rs.2300 as member contribution towards running the business. They have opened the bank account at UCO bank kodihalli in the name of the group. They have rented a building to set up the chandrike unit and have purchased 100 nos chandrike to rent out. Sri Kaveramma vermi compost Producer Group : we have formed Sri Kaveramma Savayava Parikara Uttpadakara Sangha in Banagonadanahalli village. This group comprises 7 members with each member contributing Rs.2000 towards the construction of vermi compost pits. 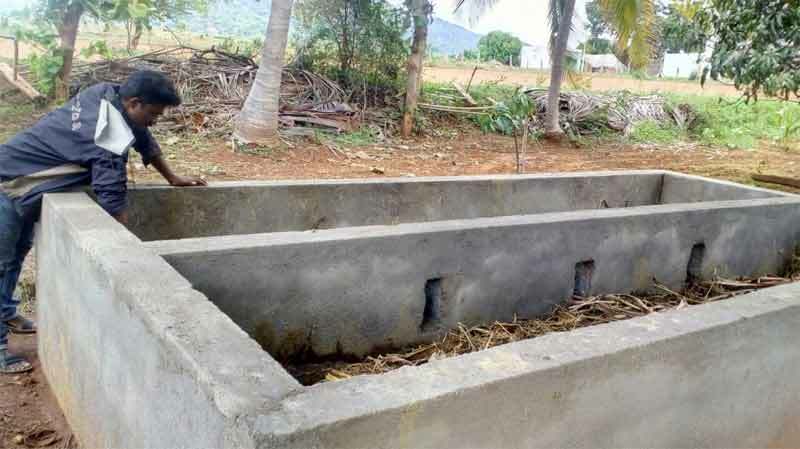 Using the grant we have provided Rs.35,000 for the construction of the vermi compost pit. During the reporting period,we have formed Sri Muneshwara Savayava Parikara Uttpadakara Sangha in Bevanamaradadoddi village. This group comprises 10 members. Each member contributed Rs. 2000 and towards production of vermicompost and construction of vermi compost pits. Additionally, Janadhanya has provided monetary support of Rs.35,000. Based on business expansion, members have agreed to contribute some more money towards the venture. 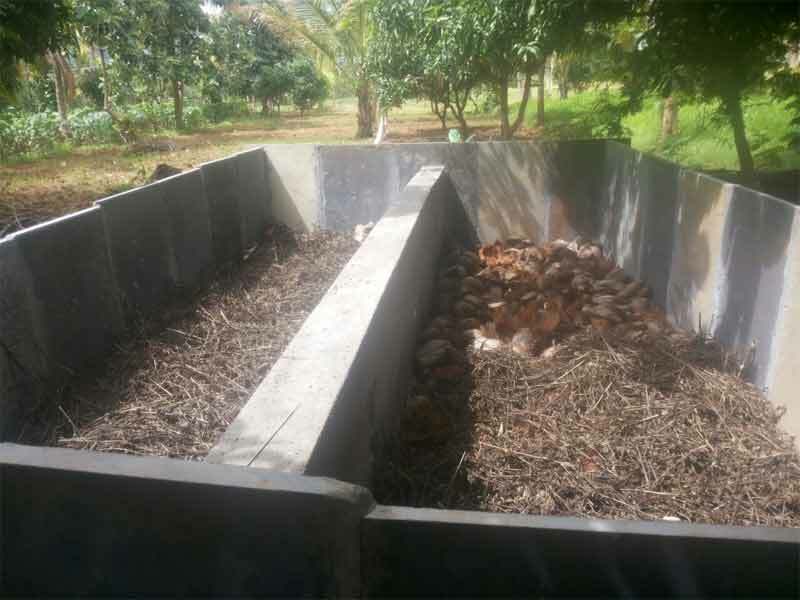 Some of the members have also agreed to construct vermicompost pits in their own lands and have shown interest in preparing other organic inputs. Sri Ambha Bahvani Cloth bag making Group : During the reporting period,we have formed Sri Ambha Bhavi Karakusalara Sangha in Chikka Maralawadi village.This group comprises 15 members and each member has contributed Rs.2500 and in total Rs.37500 has been collected to setup a up cloth bag making unit. We have provided Rs.80,000 to support the setup of this organisation. Additionally, most of the members have agreed to purchase their own tailoring machines. They have opened a bank account in the name of the group in Andhra Bank, Harohalli. Most of the members have some experience in basic stitching. The group has taken a room to keep their raw materials and finished products in the village itself. The group plans on making fancier looking bags in the future. 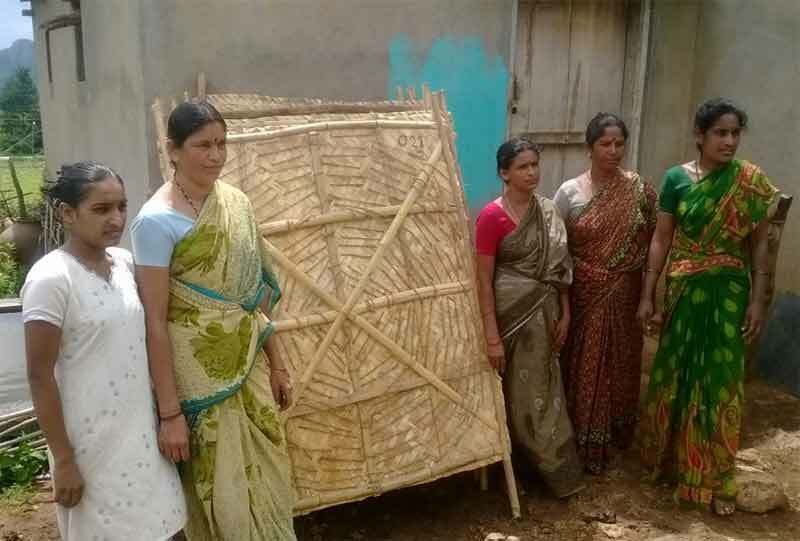 Sri Jayalakshmi chandrike rent out group : We have formed Sri Jayalakshmi chandrike rent out group in Bommasandra village. A total of 11 members have joined this group. Each of them have contributed Rs.5000 as member contribution, totalling Rs.55,000 in community contribution. They have procured 130 chandrike to distribute to the village level market. 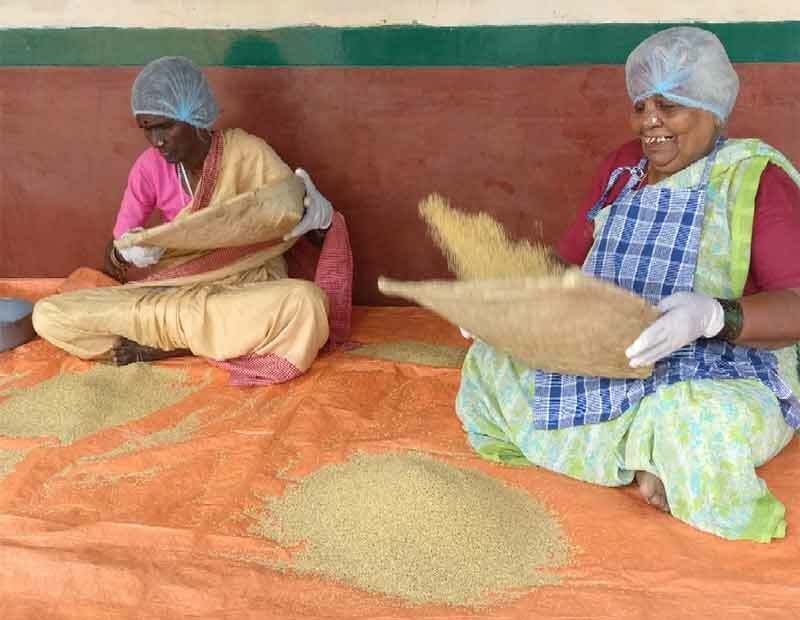 Support to existing producer groups : During the period, GREEN has supported 2 existing producer groups, namely, Siridhanya producer group located in Gollaradoddi village which is mainly works towards processing of different millet products and the Sri Uttare turdhal processing group in Veerayyandoddi village. The ongoing United Way project in GREEN has contributed about Rs.100000 to enable the purchase of machinery and licenses for these groups. Additionally, GREEN has also conducted various training programs. Training programs have been conducted for papad making and oil producing group on selecting good quality raw materials, production systems, total budget of the process, community contribution, roles and responsibilities of the members and marketing opportunities. Also training given for the value addition, quality assurance on each stage and health and hygiene. Supplied gloves, masks and caps and trained the groups to use it as well. Training given to the groups for book-keeping, financial management and follow up mitigation.Training given on supply chain management and quality is assured.